We went on a nice walk this evening, and instead of taking the stroller, we put her in her Chicco carrier (baby shower gift from Angela & Peter). Eisley really enjoyed it, and it put her to sleep pretty quickly. Beautiful Pictures of Mom and Baby. You all look content and happy. 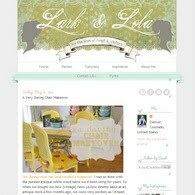 Nice Design on the Blog too. Love, Dad.